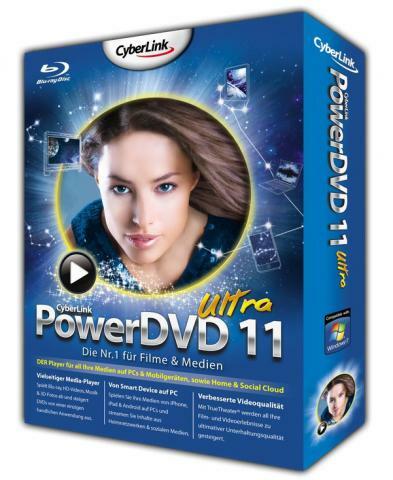 CyberLink PowerDVD – one of the best of modern software players, which allows for interactive viewing of DVD-Video and Video CD on your computer. Its main advantages include high image quality, user-friendly interface with skins and good adjustability. In addition to watching movies on a CD-ROM drive (DVD and Video CD), PowerDVD allows you to play files formats supported by Windows Media Player, and MPEG1 and MPEG2. The program also has the functions of frame capture file formats including BMP, repeat station records, adjust the display settings, remembering when to stop the mouse scroll wheel support and many other features. With Movie Collection, you can create your own catalog your movie collection, holding reviews, personal notes, information on the cover of the film, as well as share these data with other users through the service MoovieLive.